- During the scene when Spock is about to dig the transponder out of Kirk's arm, Kirk's handcuffs are visibly not secured. - At one point, Melakon states, "our entire solar system will forever be rid of the disease that was Zeon." This is a common error. The term they were looking for is planetary system. The planetary system we live in is called the Solar System because our star is named Sol. As such, the term "Solar System" is a proper noun, not a generic term. 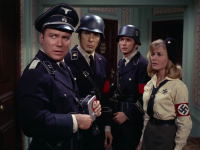 - German TV stations declined to air this episode during Star Trek's original run. - The Enterprise blowing up a nuclear warhead launched at them from the planet. - I like the subdermal transponder idea. A good precaution after so many away missions when they lose their communicators. - Kirk: "You look quite well for a man who's been utterly destroyed, Mr. Spock." - Kirk, regarding Spock in a Nazi uniform: "That helmet covers a multitude of sins!" - Spock to Kirk: "You should make a very convincing Nazi." 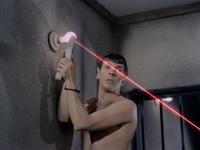 - Spock digging the transponder out of Kirk's arm. Ouch! 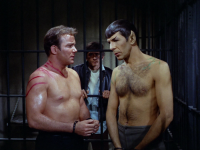 - Kirk bemoaning about holding Spock up on his back. - Kirk regarding McCoy's difficulties with the uniform: "Well send him down naked if you have to!" 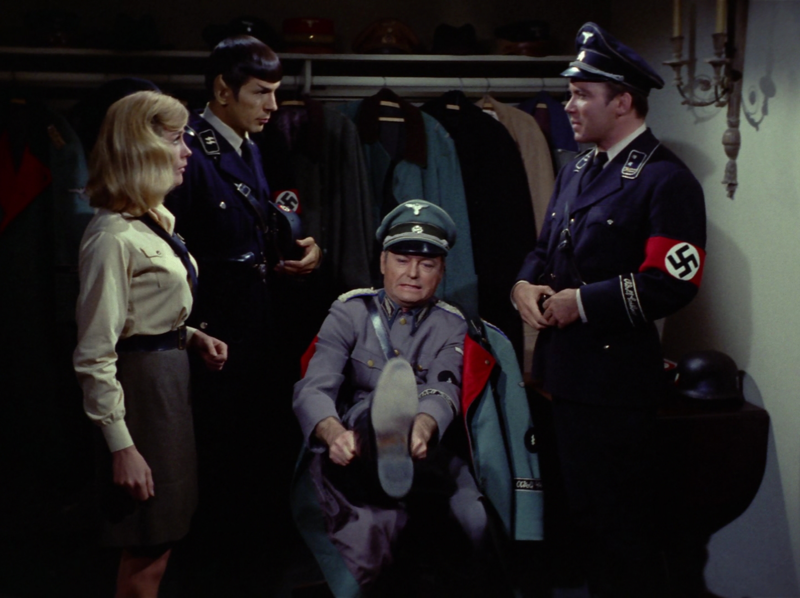 - Spock being called a member of "an inferior race." - Gill: "Even historians fail to learn from history. They repeat the same mistakes." An episode which seems to run on little more than the assumption that Nazis on TV makes for good drama. Sadly, that's not entirely the case here, but despite the episode's weakly substantiated, mostly tacky premise which is little more than an excuse to fill the screen with somewhat bastardized World War II imagery, this episode manages to still retain some entertainment value. The entire story is predicated on the idea that John Gill, an historian from Earth, had become so fascinated with Nazi Germany and so disturbed by the conflict between the primitive civilizations of Ekos and Zeon that he decided to violate the Prime Directive and interfere with their conflict by manipulating Ekos into adopting the characteristics of Nazi Germany on the grounds that Nazi Germany was, in both John Gill's and even more oddly Spock's peculiar judgement, Earth's "most efficient state" in history. This is a remarkably stupid idea on a number of levels. Even accepting the premise that Nazi Germany was somehow blazingly efficient, which seems like an unlikely conclusion for either today's historians or the Federation's, it's hard to imagine that John Gill could ignore the painfully obvious fact that this hypothetical efficiency came at the cost of startling totalitarian brutality. Worse yet, if John Gill's goal was to end Ekos' conflict with Zeon, then why transform Ekos into a society perhaps most famous for its intolerance of outsiders? Hardly a way to foster peace. And I have a hard time imagining how Ekos transformed in such a way could ever be run "benignly." Nevertheless, these seemingly stunning errors in plot logic are confined entirely within the thinking of the character of John Gill, who even acknowledges his gravely poor judgement in his final words. As such, instead of flawed plot logic, we are left merely with a flawed character subscribing to ridiculously faulty reasoning, which greatly enhances the realism of the plot itself, though at the expense of most of John Gill's authenticity. Even with John Gill being established as flawed in his thinking, it's almost hard to believe anyone in his position could have been that stupid. Another curious detail was the statement that John Gill's view of history was unusual in that he subscribed to a concept that history is best viewed as a series of causes and motivations rather than dates and events. What struck me as odd about that statement is that this deterministic view of history doesn't strike me as at all unusual even today. By the Federation's time period, I would suspect that this reading of history would be rather common. The plot logic itself is not immune to critique either. 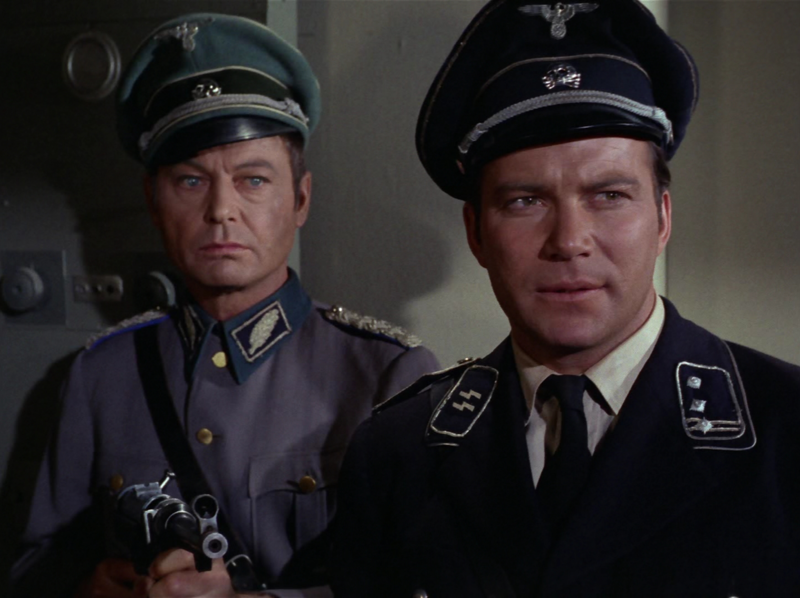 Since both Ekos and Zeon are yet another pair of planets full of aliens which look exactly like humans, I question the wisdom of bringing Spock down to the surface in what is supposed to be an undercover mission shortly after the ship was attacked by a nuclear weapon launched by these people. 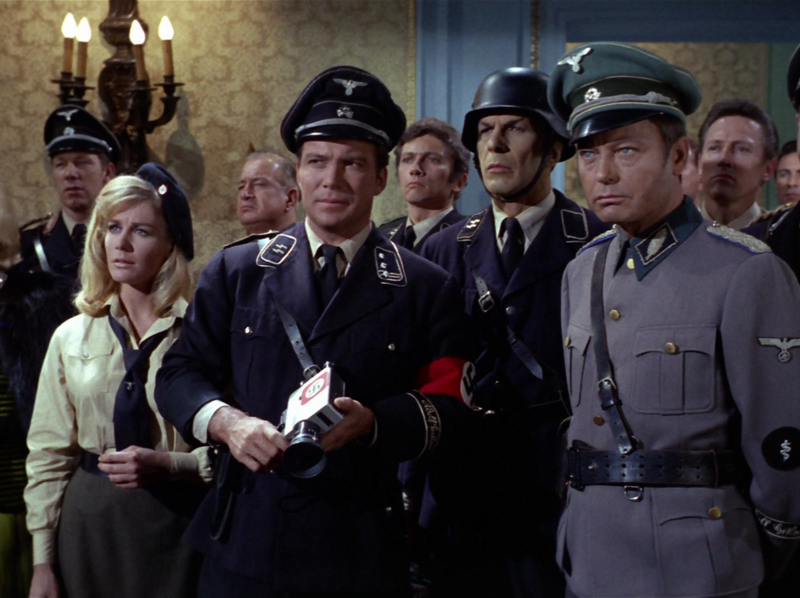 While Spock's headgear did indeed "cover a multitude of sins," the episode itself seemed to laugh at this cliche by having Kirk and Spock end up being captured early on entirely due to the removal of Spock's helmet. Likewise, the plot logic surrounding the transponders was pretty fuzzy too. The reason Kirk and Spock were given transponders was so that the Enterprise could beam them up if they got into trouble. But then the first thing they do once they get into trouble is remove the transponders to stage a risky escape attempt! Why not just wait for the Enterprise to beam them up? I suppose that it's possible the next check-in from the ship was not scheduled soon enough to prevent their execution, but even assuming that, the policy surrounding check-ins should be more regular specifically to counteract that problem. 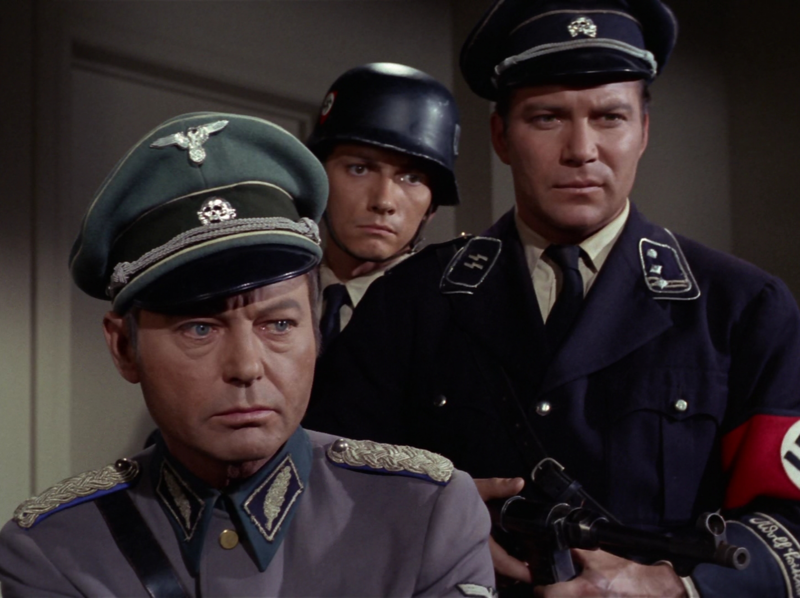 That, and it sure was nice of the guards to wait outside and completely out of view to give Kirk and Spock ample time to stage a complex escape. All that said, as we've seen from similar episodes, this could have been far worse. As was mentioned before, the core issue with the plot logic was confined to the judgment of John Gill rather than the plot logic itself, unlike what was the case with Miri and similar stories. Likewise, the fact that the social sciences have advanced to such a degree that it is even possible for John Gill to subtly and carefully alter a society of people to produce an identical clone of Nazism is a fascinating idea; far more compelling than Miri's pathetic excuse of the planet just so happening to have randomly evolved identically. 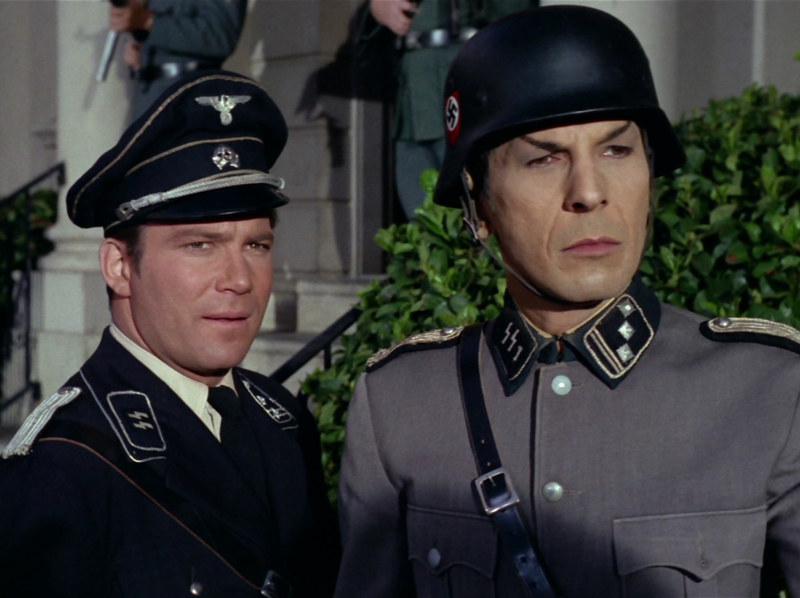 The premise being what it is also enables us to watch Kirk take far too well to pretending to be a Nazi. He takes to the role quite naturally, making up all kinds of wonderful hate lines about good hunting, dumping corpses outside due to overflow, captured pigs, and so forth. I also quite enjoyed the bizarrely out of character yet nevertheless amusing scene where Spock expresses excitement regarding the exhilarating effect the gamble of whether or not their plan will work has on him. 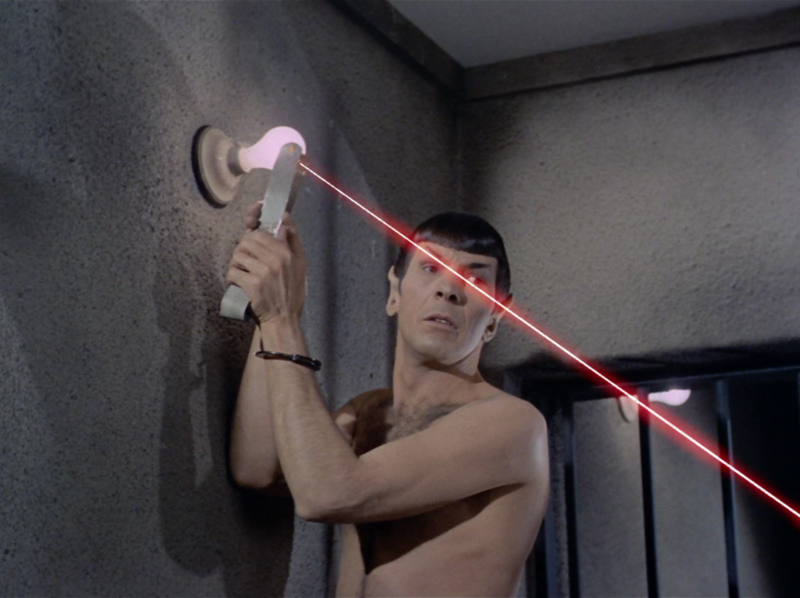 I suppose it's nice to see Spock unable to control his human side on occasion. 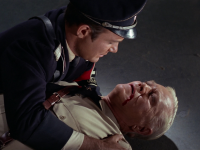 Finally I quite enjoyed the clever use of the Vulcan mind meld to manipulate comatose John Gill. All things considered, I would have to characterize this as a remarkably well executed story given its mostly shoddy premise. And what do you think the “obvious reasons” are? ‘Cause I don’t think they are so obvious to a non-German readership. I hope you do not think that the Germans did not want do be reminded of the Third Reich, which is not the case. Being a German I have heard and read a lot of discussions about it here. The TV audience has no problem with engaging in the topic. 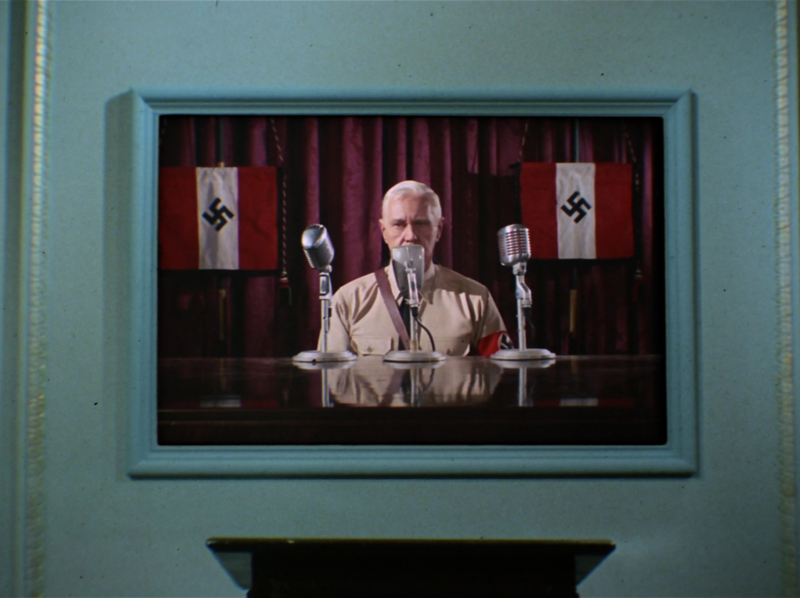 In fact there is a lot on the Third Reich on TV. The problem lies within the way the episode is done(taking this rather lightly, somewhat belittling the horrors of reality). 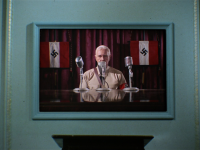 During the first run in the 70s it was not allowed to broadcast Nazi insigina on entertainment television as to not support remaining Nazi tendencies. 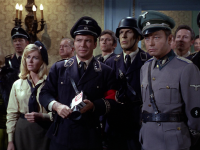 Later on the channels feared they would meet with strong opposition from political science scholars and historians, who would harshly criticize the casual way the topic was handled in the episode. Many people who do not live in Germany seem to take the topic with a lightness that is not conceivable for most Germans. Here, especially well educated people demand a certain sensibility, even a strict code in which the topic has to be approached - absolutely historically correct and very seriously to do the extreme horror justice. I myself found the episode painful to watch for this very reason. Not entertaining. For the most part, I think the jokes fall flat in this episode. Like when Spock was commenting while standing on Kirk's back, or when Spock is telling McCoy how to put on a boot. 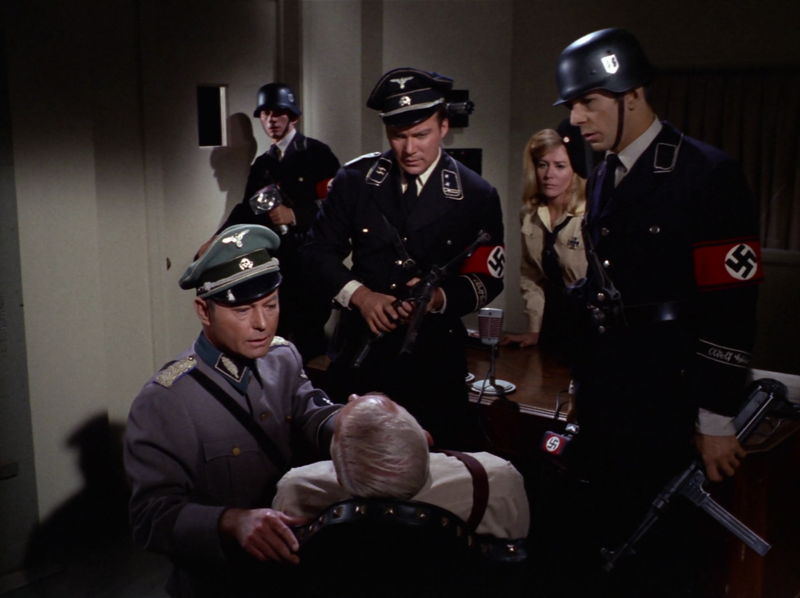 I did somewhat enjoy the climax where Kirk and the others are sneaking around the back rooms, trying to get to John Gill. There were lots of twists and turns throughout the sequence. However, I just think Patterns of Force doesn't have that "must watch again someday" appeal like a lot of the other episodes. I think I'll add a positive review to the cooking pot. I agree with the criticisms of the portrayal of the horrors of the Nazis - although there's not very much you can show in 50 min when you have a whole plot to develop, they could still have put in a little on the sidelines, small details. Another thing that annoyed me (and that annoys me through all TOS) was the lack of blood or even bullet-holes when John Gill was killed. He was shot with a machine gun, for heaven's sake! It quite distracted me from the sadness of the situation. On the other hand, I'm rather fond of the episodes when the crew of the Enterprise go undercover; all the little twitches and the massive bluffs. As to the characters, the baddies could have done with some more development, but all the goodies felt real and well built. The dialogue was excellent, the humour a bonus. With a bit more explicit darkness it would have been truly memorable. Oh, and another plus for the episode: Daras. Female, blond, attractive - does not wear risqué dresses, shriek, panic, require rescue, fall for Kirk/Big Baddie, etc, etc, etc. Quite astonishing, very satisfying. For me, this is one of the worst episodes of season two. Apart from the dumb premise, the Nazi "world" is overly claustrophobic - nearly all of the action takes place in the same corridor, it seems. Worst of all, the humour doesn't work. It just all seems very flat. Spock is out of character, at times - "Captain, now I understand why humans enjoy gambling. There is some exhilaration." This is not a line we would expect from the proudly unemotional Vulcan. In all, a big yawn. 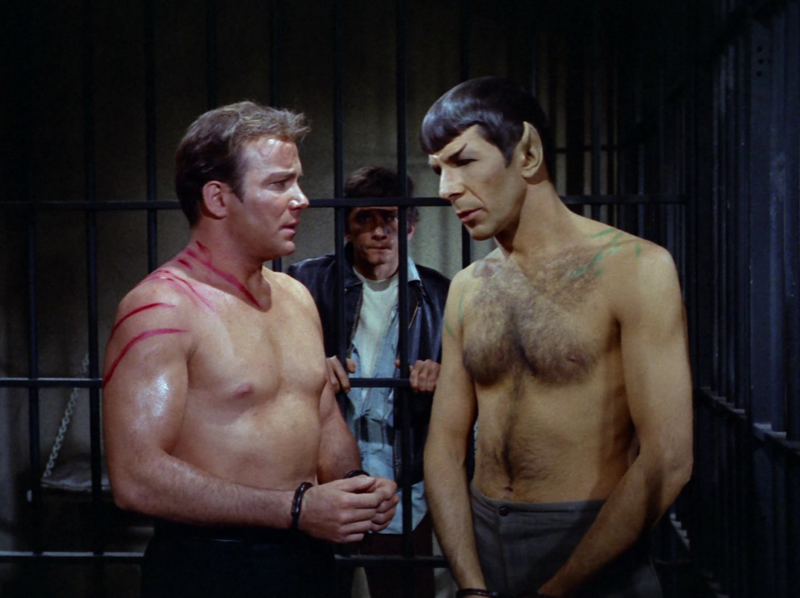 Plenty of episodes feature a shirtless Kirk, but this is the only episode to feature a shirtless Spock. Just how long had Gill been on that planet? Darris said she grew up watching John Gill, so I'm thinking at least 20 years. And nobody from the federation bothered checking on him in all that time? 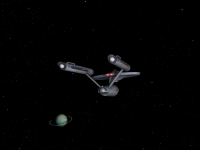 Near the beginning of the episode, the enterprise was attacked by a weapon that was "generations" ahead if where these people should be, but the subject was dropped with no further explanation. So where did this technology come from? Gill was a historian, not a scientist, and he wouldn't have provided weaponry even if he had the ability to do so. 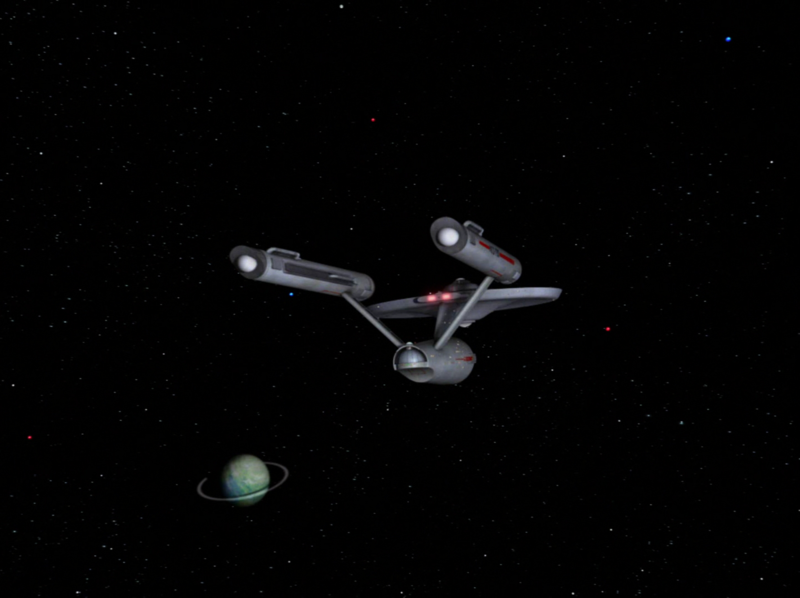 With the vast superiority of the enterprise, there were lots of options to delaying the war called for by melakon. The pilots on the attacking fleet could have been beamed out of their ships, then the ships could have been destroyed. Or the ships could have merely been disabled. 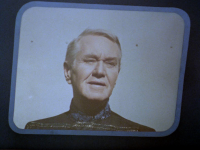 And it should have been a rather easy task for the enterprise to disrupt communications so that mekakon's "final solution" could not be broadcast beyond that building.